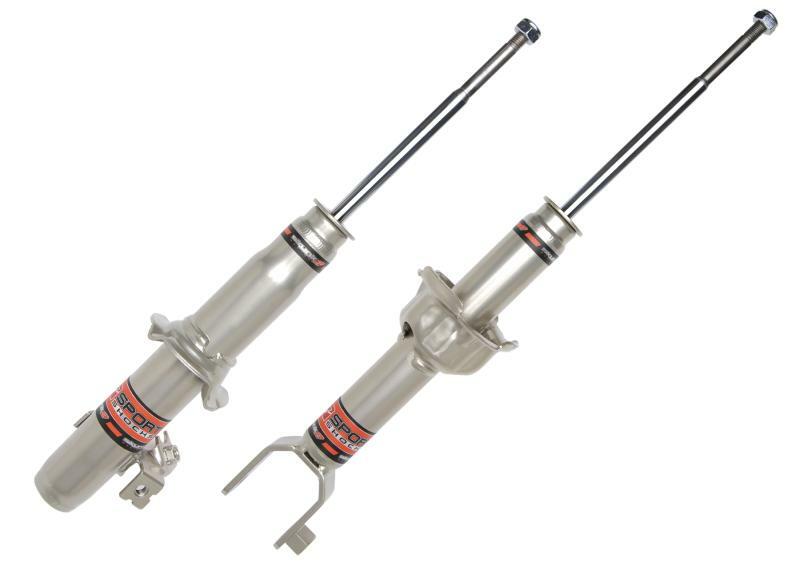 Skunk2 Sport Shocks is the new line of high-performance factory replacement shocks that use many of the same technologies and manufacturing processes as some of Skunks2’s more advanced damper systems. The dual-tube design features a hardened, chrome plated and super finished ground shaft, and precision valving resulting in added durability, reliability, long seal life, and smooth operation. By offering the Sport Shock, Skunk2 is taking an integrated approach to suspension tuning even at the most basic level. Sport Shocks are specially designed to work in conjunction with Skunk2 Lowering Springs and coilovers. Sport Shocks are designed with shorter shock bodies and short strokes so they will perform better and have more travel and be more durable at lowered ride heights. When used with Skunk2 Lowering Springs or Coilovers, Sport Shocks offer exceptional control, handling performance, balance, and comfort at a price that can’t be beat.